Nine weeks ago I became a Dad for the first time. Those weeks have brought such change that they feel like a lifetime. Of course, for him, it has been! My Wife and I have found the transition to parenthood to be surprisingly natural. We’ve been fortunate not to be hit too hard by the worry that this huge responsibility brings. One day at a time, with a little advice from friends and family and a lot of reading NHS guidance has gotten us this far in one piece. The parenthood journey happens in phases. There are good bits and bad bits. None last long at this age, as they’re growing and changing so fast right before your eyes. The latest phase for us was a bit of a challenge, as Baby P had started crying hard in the evenings without the usual solutions seeming to have much effect. Long story short, we concluded he was telling us that it was time for a bedtime routine and that he should go up to the bedroom much earlier. Sounds easy, right? Well, Baby P went easy on us, but I had my first bout of nervous Dad. He went right to sleep after his bath and feed, and the 2.5” low res screen on our baby monitor showed that he was still and quiet. But was he actually okay? I couldn’t be sure! He’s never been away from Mum and Dad, even one closed door away! I had to go and see him. He was fine of course. Every time I did it. But now I was risking disturbing him. That’s when I remembered the NetGear Arlo Pro wireless smart camera that I was reviewing. Currently sitting in the garden, waiting to catch the cats getting up to mischief (I was hoping we wouldn’t actually be burgled), I brought it in and plonked it down on our bed, pointing into his cot. Now, despite it being pitch black in our bedroom, there was my lovely boy, in high definition, soundly asleep with his chest rising and falling gently. And relax . . . 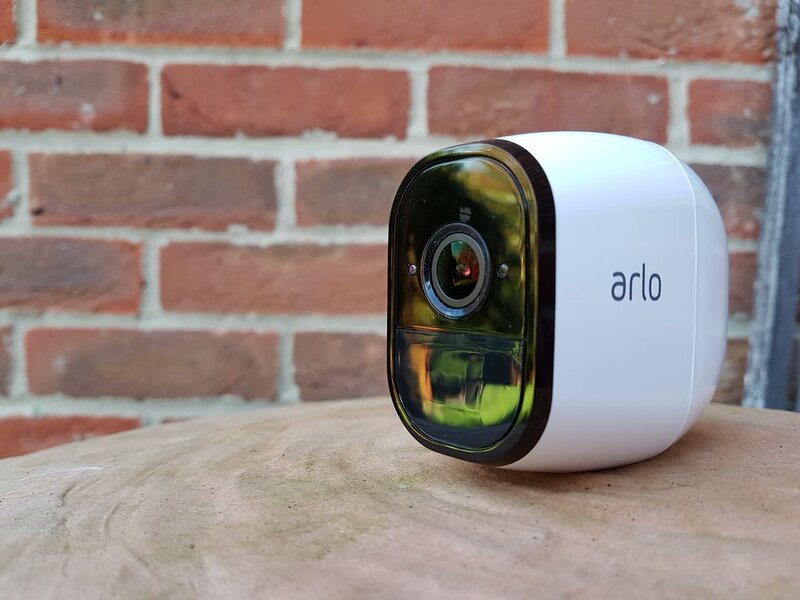 The Arlo Pro is an entirely wireless, weatherproof, smart security camera. Activated by motion or audio (you can choose from either), it will sit anywhere in your house or garden and capture any goings on for as long as 9 months in between charges (as a security camera - live streaming will reduce that substatially). It’s relatively easy to setup. Connect the supplied base station (looks like another WIFI router) to your home network via Ethernet cable. Download the free Arlo app to your smartphone and follow the instructions. You’ll be up and running in 10 minutes. 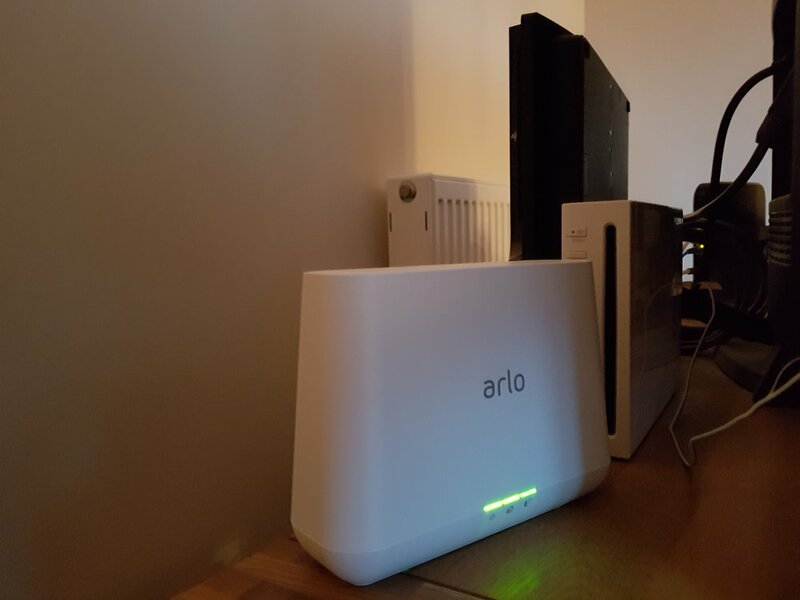 The base station is an unassuming white box, which I guess gives Netgear more control over the quality of service you’ll get from its camera, than relying on your own WIFI router. That said, it seems pretty basic, only being able to talk over 2.4Ghz channels. With no 5Ghz option, there is a risk that it will suffer interference from other devices in the area, but 2.4Ghz does have better range and perhaps that’s the most important thing here. Certainly I had no problems, even with the radio-eating baby monitor running alongside it. The camera itself is a sturdy little thing. Heavy with the battery installed, you can put it pretty much anywhere, but Netgear include a magnetic mount for indoor use and will sell you an outdoor mounting solution separately. Finished in gloss white, it does rather stand out when attempting to hide it in the garden. If you don’t intend to fix it to a building, out of reach, I’d consider getting one of the skins available. They encase it in black and include a hood that should stop it getting covered in condensation. Once set up and installed somewhere on your property, you can check in with the camera anytime, anywhere, and view a live stream of what it can see through the 130-degree viewing-angle lense. Picture quality is great (even over 4G mobile networks), both in daytime and at night, when the night-vision kicks in and does a great job (but not through glass). You can remotely activate and disarm the camera from the app and set up a schedule for the week, meaning you can pretty much leave it to it. There’s also a geo-fencing mode, where the camera will activate whenever it sees that you (or your phone at least) have left the area. If the worst happens, and something is picked up whilst activated, the Arlo app will alert you and you’ll be emailed. Again, you can have either, or neither of these enabled. The camera will then dutifully record what it sees and hears to your Netgear account in the Cloud where it will be held for free for 7 days (premium solutions are available). These videos are viewable, YouTube style, via the app at anytime and you can download them easily to your phone or tablet. You can also connect a USB hard drive to the Netgear router and recordings will be stored there too. Which is pretty cool. If you want to, you can address the burglar by using the push-to-talk function and call them every name under the sun. I don’t think they’ll necessarily hear you whilst they’re unscrewing your TV from the wall, as it’s a bit quiet, even on maximum volume. However, if you’re using it to keep in touch with family remotely (a quick comment up to the nursery or between rooms) then it could come in handy. What you should hit the burglar with, but definitely not a family member, is the 100db siren that can be blasted out of the base station. That should get the job done and make the video more entertaining when you hand it over to the authorities. 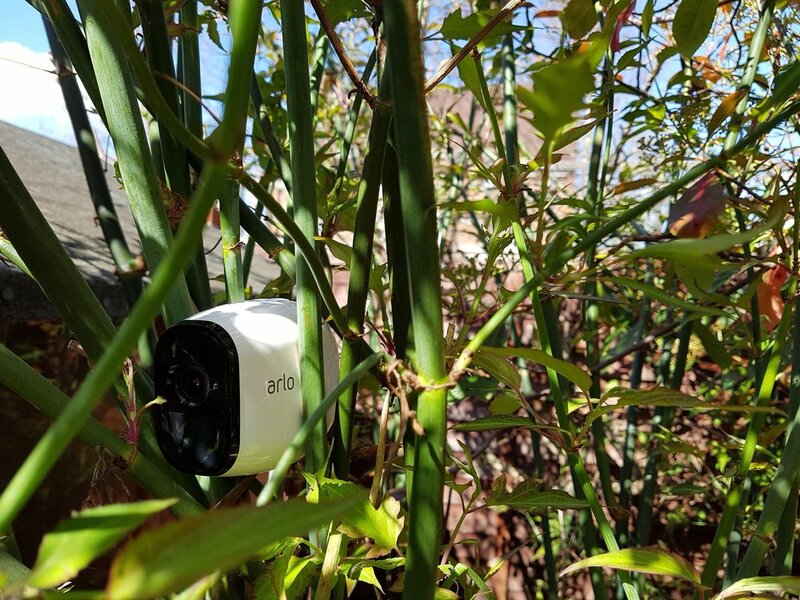 The Arlo Pro is not a cheap gadget (I've reviewed the cheaper, wired, Arlo Q here), but given that there are no installation costs and you can use additional cameras to build up a very comprehensive home or small business security system, it can compete with the big boys. The free online storage solution should work for most people and the picture and recorded audio quality means that anything of interest that you capture will look great when you share it. Burglars will be identifiable, cats will be hilarious and you can gaze at your wonderful baby as much as you like, without disturbing his precious sleep.